Dive Ability is the most awesome group of people I know – a charitable team who selflessly give up their time to enable people who have disabilities or disadvantages to discover the adventurous world of scuba diving. please take a look at the video to see the difference they make! The charity is entirely run by volunteers, including a couple of Aquanaut club members, but they need funds to cover a whole range of costs including equipment, transport, pool hire, equipment maintenance ….. and the list goes on and on! So, they have put together the most amazing raffle with some fabulous prizes suitable for non divers as well as us bubblers. Prizes include spa breaks, cottage holidays and even accommodation in Orlando! At £2 per ticket, it’s got to be worth entering for the prizes, and most importantly every little bit helps keep this amazing charity going, and the chance for so many to experience the unique sense of freedom in a world of weightlessness. 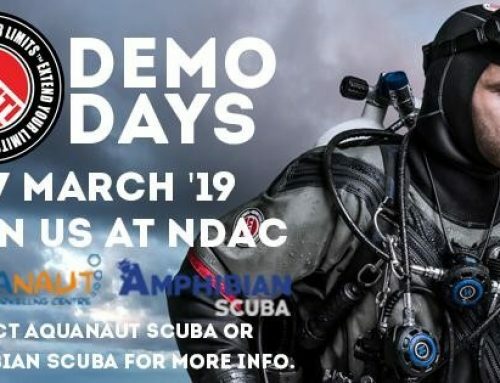 GET YOUR TICKETS NOW FROM THE AQUANAUT SHOP, OR MESSAGE US AND WE CAN BRING TO OUR POOL SESSIONS, DIVE SITE, CLUB NIGHT ETC!